Whenever you are thinking about moving home, there is only ever one company who should be in your thoughts: Moving Service. We are the best solution for those who need to reduce the time, effort and money it costs to move home. If you are moving to Harlesden, then we want to make your life easier. We want you to relax while we deal with all of the difficult work. Thanks to the expertise we have, the incomparable solutions we offer are always informed by the best knowledge and experience. There really is no better way of moving home and those who are wondering about the challenges they face can discover just how much simpler all house removals are when you hire us. Call 020 8746 4402 right now and treat yourself to a free quote. Found in the borough of Brent to the north west of London, Harlesden is known, among other things,for its vibrant and diverse community, including many Caribbean and Irish Catholic residents. In addition to this, there is a long tradition of boxing in the area, giving rise to a number of eventual world champions. 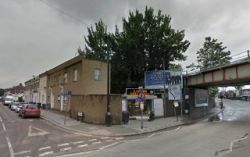 It is located in an area bordered by places such as Brent Park, St Raphael’s Estate, Neasden, Willesden, Kilburn, Stonebridge, Kensal Green, Park Royal, North Acton and Wormwood Scrubs. Though once known for a high instance of crime (specifically, homicide), the area has since seen this decrease and it is now not a concern amongst those in the area. As well as walking to the number of locations listed above, there are also two tube stations in the area, designed to make travel around the city very easy. Both Willesden Junction and Harlesden Station connect to the Bakerloo line. Having spent so long in the industry, we understand the intricacies of the moving process better than anyone else. While you might struggle with the packing or being able to find the time to get everything done, we approach the process of house and office removals in NW10 region and the surrounding area with a great understanding of what it takes to make a the entire thing fly by. It’s that easy. If you are worried about the build-up of stress and tension during a move, you should rely on professional help and you will not have to worry about anything. You know we have you covered. With this in mind, there is nothing you cannot handle, as we provide any and all removal services you could ever need. From the biggest issues to the smallest details, we really do have absolutely everything covered. But what is the part most people love about hiring Moving Service? If you were to ask our legions of satisfied customers, they will probably mention the vast difference between hiring our help and hiring any other removal company in NW10 areas. While those other firms want to help, none of them drive down the cost in the same way we do. We want you to save money and this is why we help those who need affordable removals to Harlesden right from the start. When you are thinking about the big move in your home or office and need a way of reducing stress while still saving money, there really is only one moving company you need to remember. If you would like to learn more about the ways we can help you, simply dial 020 8746 4402 and get chatting to one of our team now for a free quote.